Despite the extensive television and magazine coverage which has been devoted to this fine house by Grand Designs’ Kevin McCloud, its location will be a complete mystery to most readers. Several ambitious new-builds exist either side of Dyke Road; none quite as breath-taking though as this one. Some nestle behind other buildings on plots that were once back gardens but this development replaced a detached house on an elevated position on Withdean Road in leafy and secluded Withdean. As an artist, carpenter and experienced developer, Barry Surtees had much to bring to this project from the beginning. 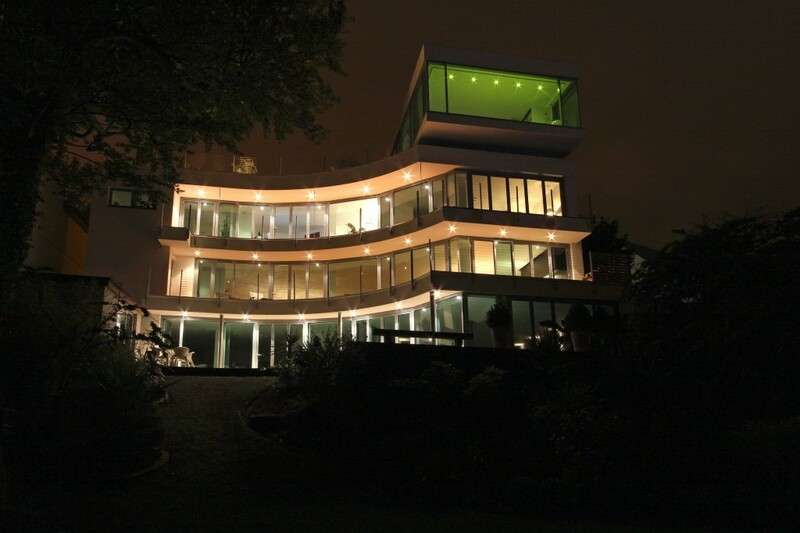 With masses of open-plan living space, five bedrooms, a helix staircase and a swimming pool spread over three expansive floors plus a further gigantic bedroom pod perched on the roof with fantastic views across the London Road valley, his expertise was not just helpful – it was simply invaluable. 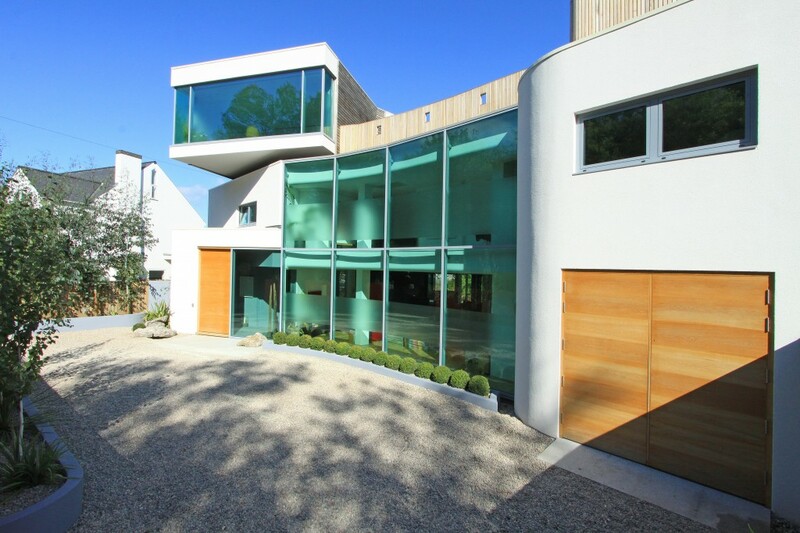 The house was designed by Barry himself and Brighton-based architect Bernard Howells. By acquiring three detached neighbouring properties, Barry was able to build his dream home whilst converting the flanking buildings (one of which was the family home) in complimentary styles. I thoroughly disapprove of the removal of grand homes so was pleased to discover that the number of dwellings stayed as it was. The building was constructed quite close to the road so its most obvious feature is perhaps a giant glass wall making up most of the façade. But, when viewed from slightly further back, the floating bedroom pod up top, which opens straight onto a delightful roof garden, becomes much more obvious. It must be like waking up in the heavens which made it all the more relieving to hear that its lengthy glass walls are 5cm thick. Barry bought his first house in Brighton (Springfield Road) in 1977 so has had plenty of time to get ideas together for this project. The number of features worthy of mention is quite staggering but my favourites are the bronze-anodised aluminium kitchen cupboard doors and the huge wooden front door. A Ducati 916 hangs on the wall of the principal living space. It’s quite a feature but I, as a biker, would much rather see it on the road!